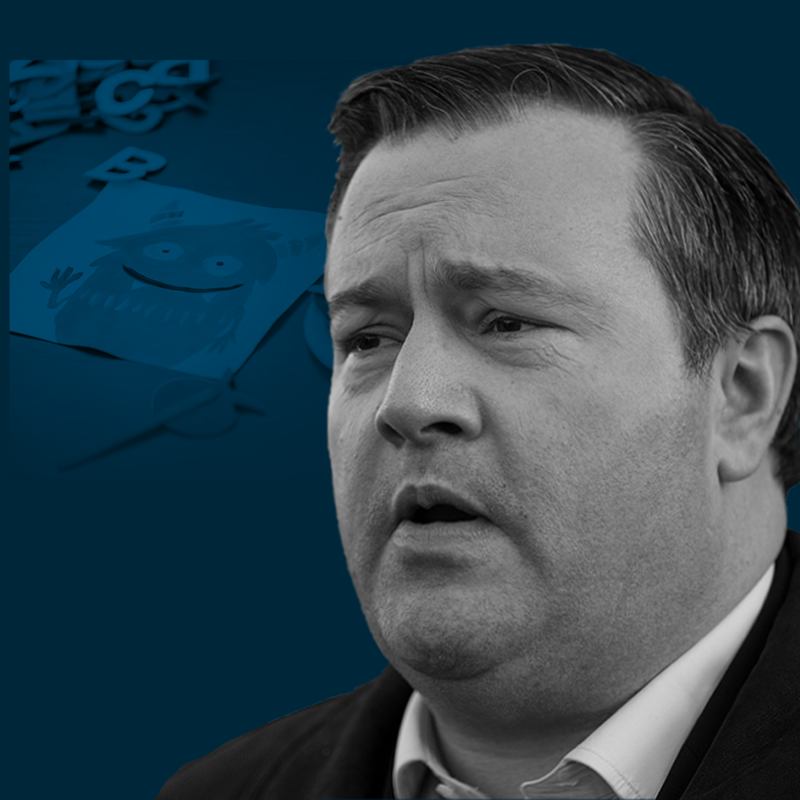 UCP would cut Notley's plan that parents call "life changing"
Access to affordable childcare programs that have been called “life changing” by parents are on the chopping block if Jason Kenney gets his way this election. Kenney’s said that the entire idea of childcare is “deeply troubling” and that childcare only exists to “engineer social outcomes.” He refused to say what outcomes he was worried about but we know from parents what the outcomes really are. One suggested that affordable daycare means “almost a mortgage payment that we’re saving each month.” Another parent said their children’s development grew “leaps and bounds” in childcare. But that doesn’t matter to Kenney. When he was in Ottawa, he and his party suggested that parents putting their kids in daycare were abandoning them for the government to raise instead. When he was in Ottawa, one of the very first things Kenney and his colleagues did after coming to power was scrap investments in childcare. The program committed millions of dollars to a national childcare program and Kenney and crew threw it right in the shredder. Kenney even had his social conservative base defend their new daycare plan that forced more parents to stay home. It’s no surprise that Kenney is fighting against daycare. He’s said he “personally believes children need a parent at home.” Kenney’s already said that spending money on affordable childcare is a “waste” of money and refused to say what they’d do with the $25/day program. This is where his priorities are. He thinks that spending money on childcare and education is a waste but gutting the provincial budget to give wealthy corporations a $4.5 billion tax giveaway is top priority for him. Jason Kenney has been clear - he isn’t fighting for what matters to parents and children, and he certainly isn’t fighting for women - he’s only fighting for himself and his rich donors. Under Kenney it’s not just access to childcare that would suffer. His promise to slash wages for minimum wage workers will hurt women - over 65% of minimum wage earners are women. His plan to fire nurses and teachers will mean putting thousands of women out of work. That’s all part of Kenney’s plan to roll back the clock on women’s rights. One of Kenney’s old teachers put it best when it comes to how Kenney feels about women, “They want to return to the 50s, and by the 50s, I do not mean the 1950s, I mean the 1550s”.